Pizza night in the house! My family and I usually have a designated pizza night a couple of times a month. 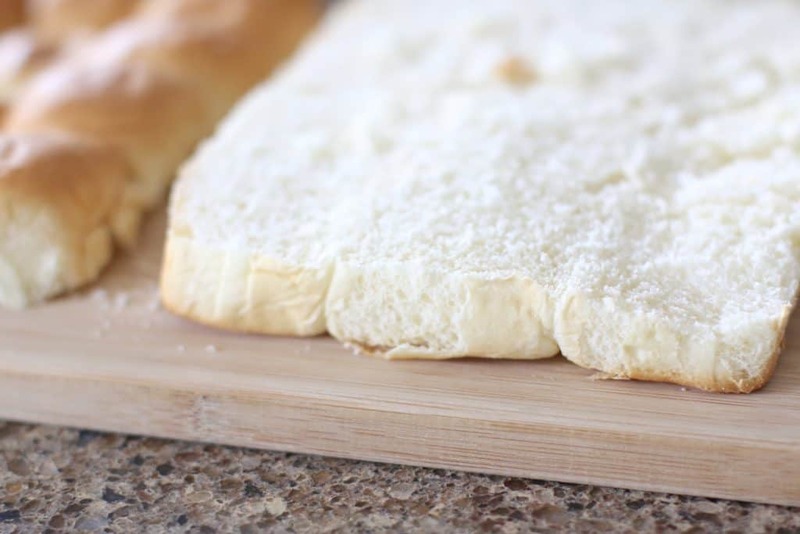 My son loves to help make pizza so I’ll pick up some store-bought pizza dough and toppings and we can make it together pretty fast. It may not take us long to make but it’s our special time together and a good time to get him to open up and chat about school or whatever is on his mind. I find he opens up a bit more when he’s focused on something else but he’s still hanging out with me. But sometimes, you just get in a pizza rut. You know what I mean? That’s when you know it’s time to switch it up. 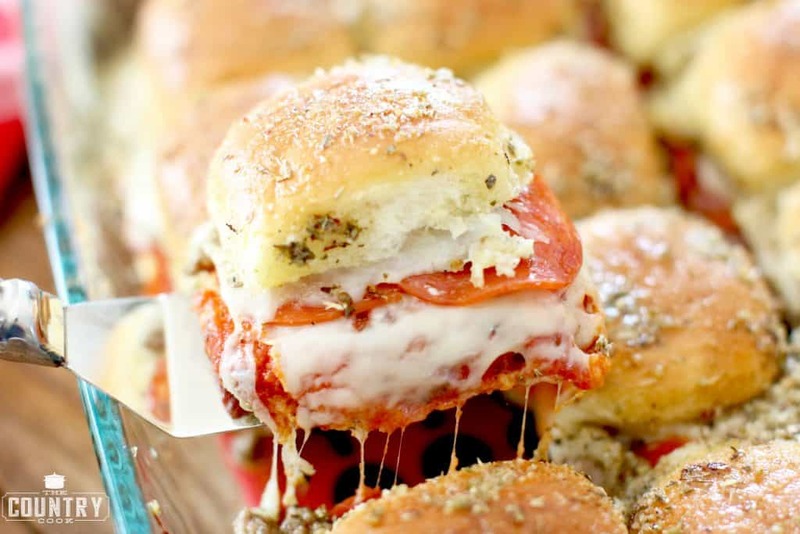 Enter – pizza sliders. They are pizza reimagined. My family got reallyexcited over this recipe. It made the house smell SO good while it was in the oven! And, it’s still something my son and I can make together. He loved making a new recipe but with familiar flavors. And at the end of the day, that’s the most important thing, right? Coming together at mealtime to make and share yummy food that everyone will eat. Get away from the hustle and bustle of everyday life and enjoy these small moments. Be present in this little thing that you are doing and sharing together. Plus, you can have a lot of fun with this recipe by adding whatever toppings your family loves. I even picked up pre-cooked sausage to make this even easier. And don’t even get me started on the seasoned buttery topping on this. Have mercy – so good! It really makes these special. These sliders would also be perfect for a crowd. No need for just regular ole pizza all the time! 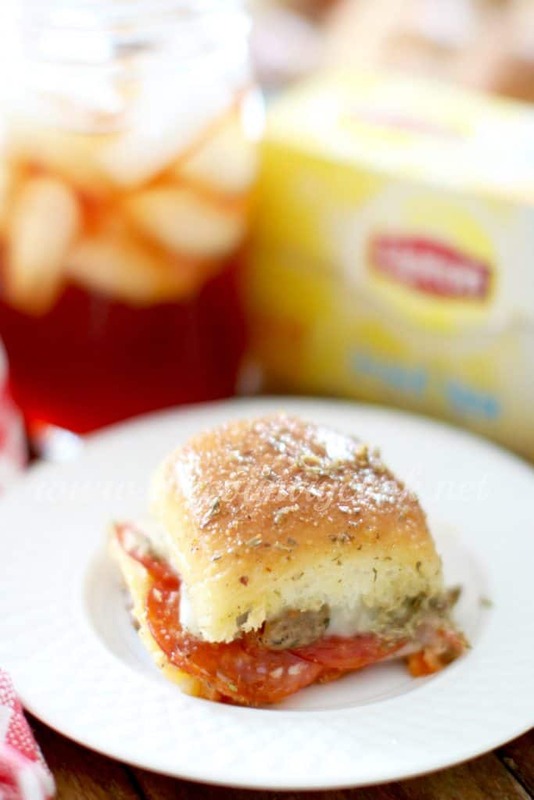 Serve pizza sliders up with some Lipton Iced Tea and a big, green salad! Want more re-mixed recipes? Be sure to head on over to Lipton #BrightBites on the Food Network website to grab more inspired recipes like this one! In my house, we wouldn’t even think about eating a meal without iced tea. I’m not even kidding. I brew a couple of gallons a week. There’s just something so welcoming about serving up tea when you have friends over too. I like to pour it in mason jars and it makes everyone feel at home. We drink it with lunch, with dinner and just because. Never made it yourself? No worries, I got you covered. Below is an easy-to-follow instruction card on exactly how to do it. If you are making a gallon, just double the amount of Lipton Family Size Tea Bags. I usually add 1 1/2 -2 cups of sugar per gallon of tea (but that can be easily adjusted to your taste.) 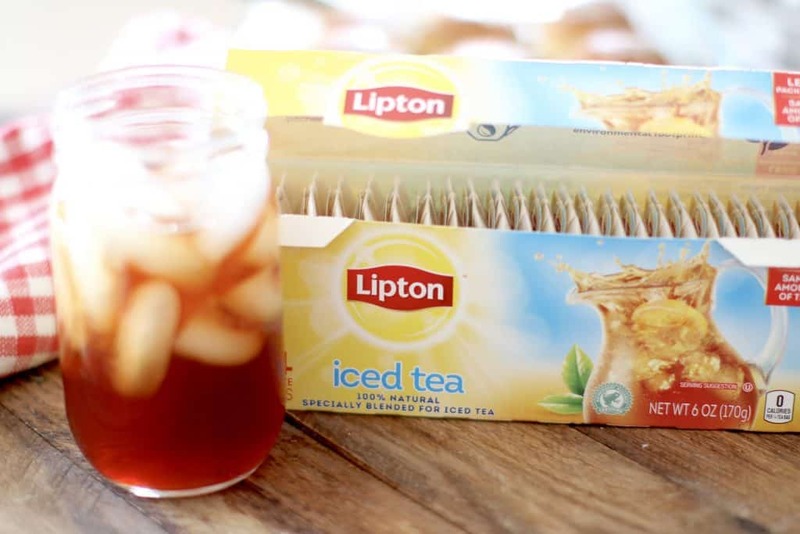 Lipton Iced Tea is specially blended for iced tea so it comes out perfect every time. You can’t mess it up! Now, let’s get to these sliders! Preheat oven to 350f degrees. Spray the bottom of a 9×13 baking dish with nonstick cooking spray. 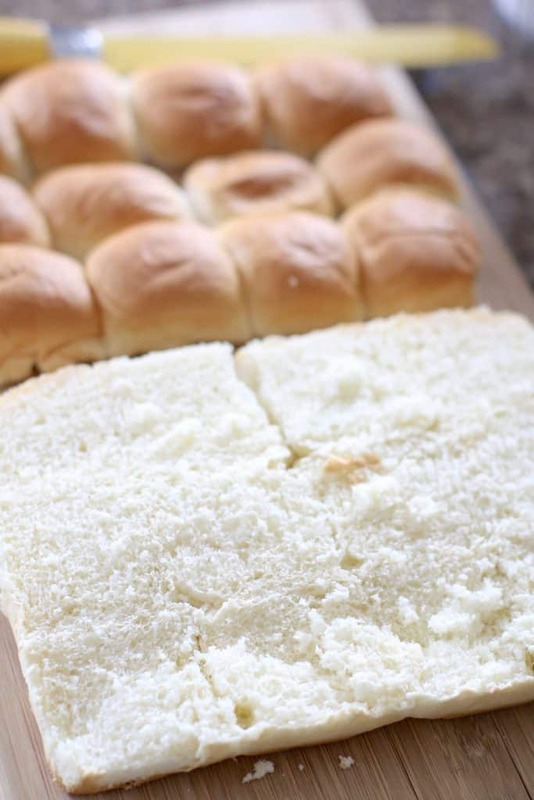 Slice the rolls horizontally (while still attached) to make a top and bottom bun. You’ll want to make sure that you have the thicker part of the bun on the bottom. Since it’s going to be carrying a lot of the load with all the toppings. Place bottom bun into prepared baking dish. 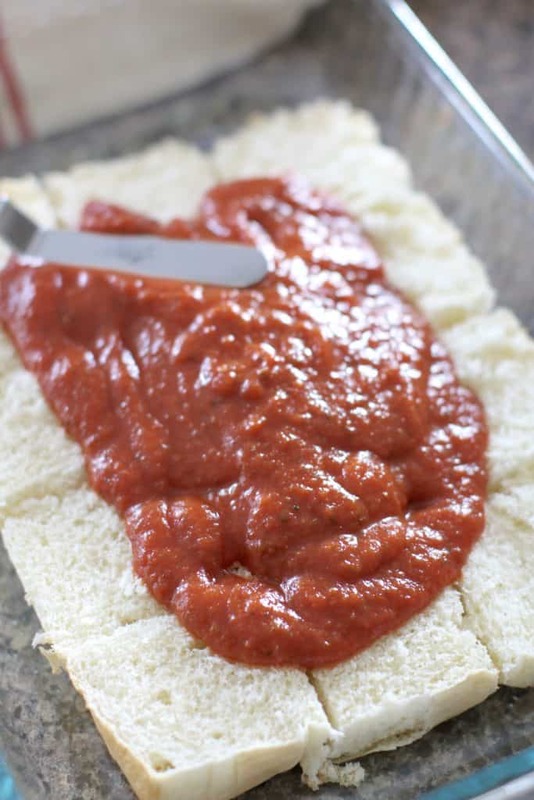 Spread pizza sauce onto rolls. 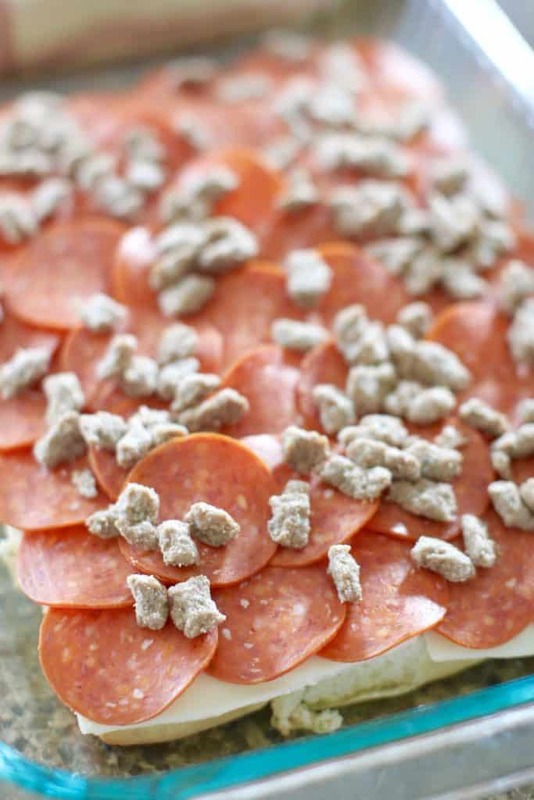 On top of the cheese layer, add all the slices of pepperoni. 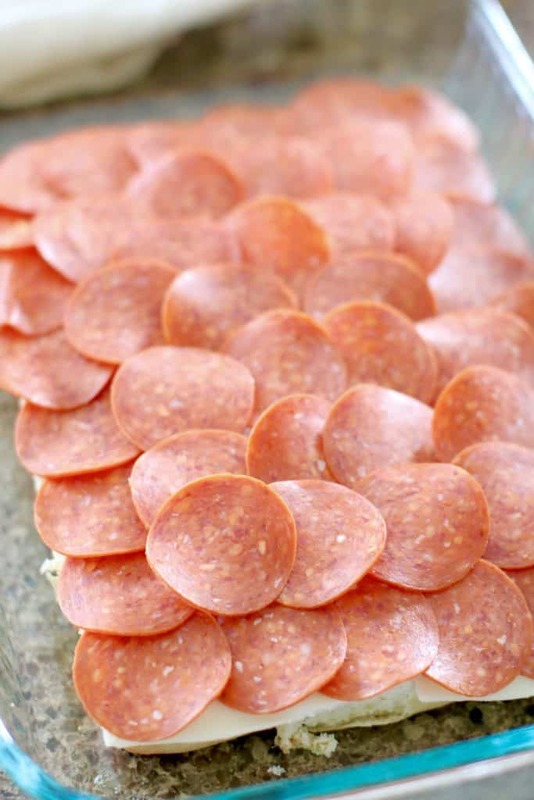 Sprinkle the top of the pepperoni with crumbled sausage. 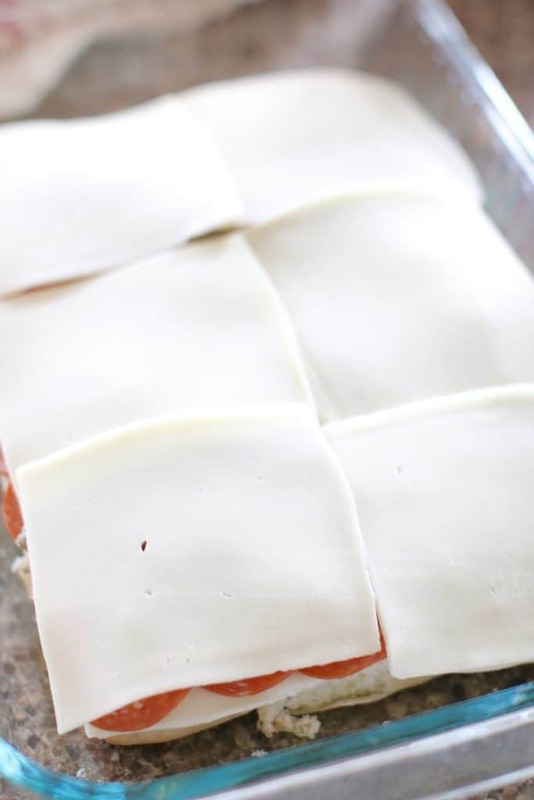 Add the remaining 6 slices of cheese on top. Then cover all of it with the top bun. 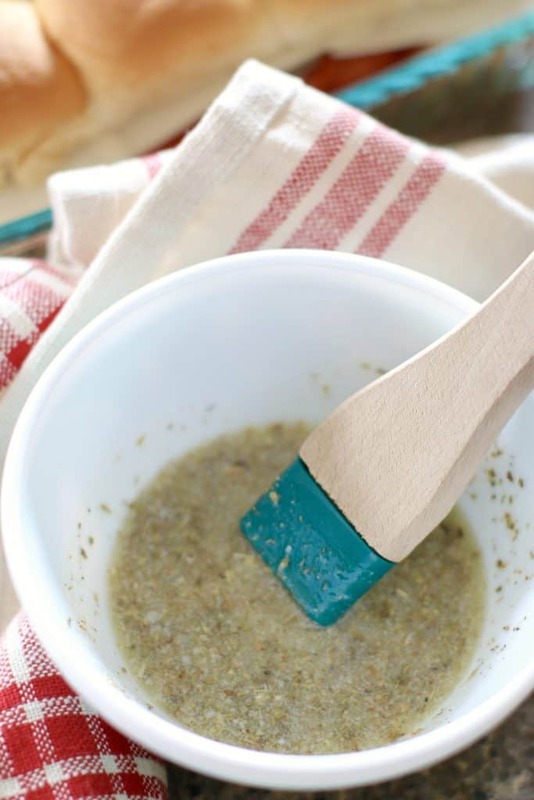 Now, make the seasoned buttery topping. Combine all the ingredients in a small bowl and stir well. 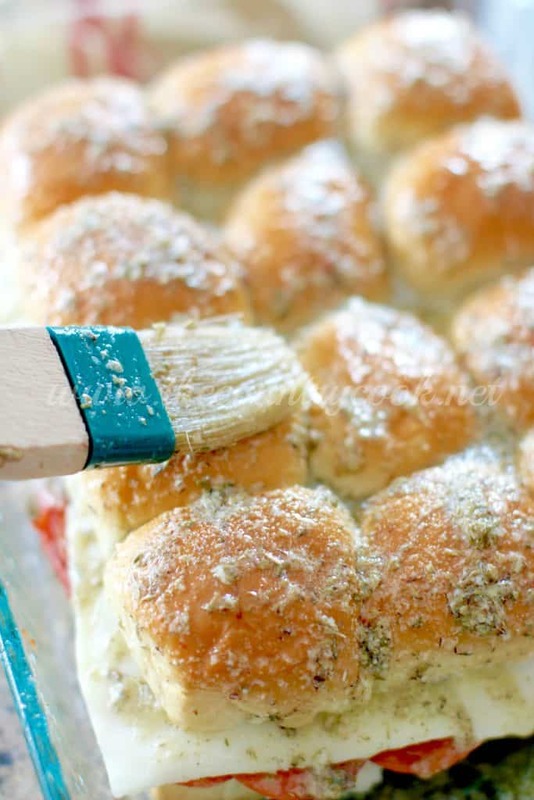 Then, using a brush (or a spoon) spread topping all over the sliders. Be sure to get the sides too! Cover with aluminum foil and bake for about 15 minutes. You’ll want to see that the cheese is all nice and melty around the edges. Serve while warm with your freshly brewed Lipton Iced Tea. Didn’t eat them all? No problem – they re-heat great in the microwave. Mmmm…I’m telling ya – you will love these! 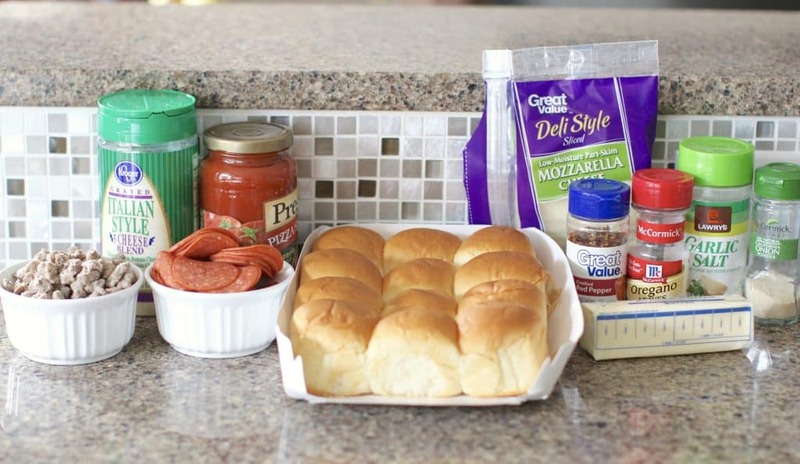 Remix pizza night by serving pizza sliders instead! 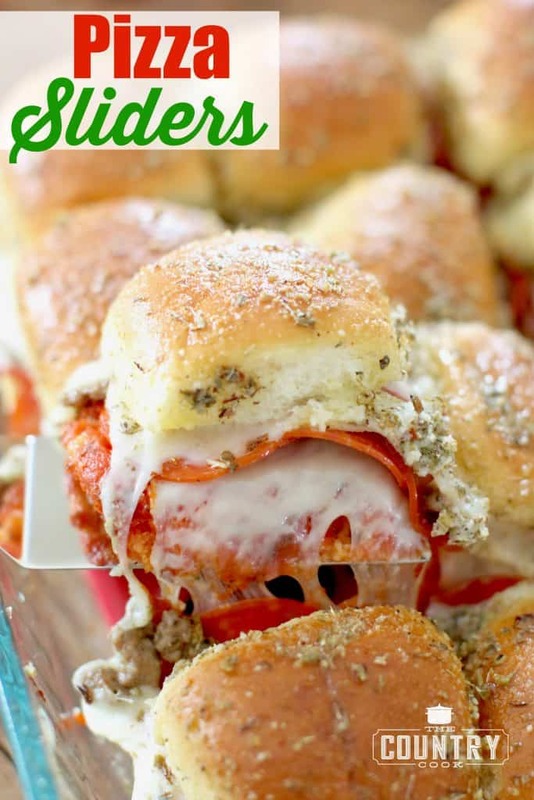 Pizza Pull Apart Sliders are stuffed with cheese, pepperoni, sausage. Top with a savory buttery spread! Preheat oven to 350f degrees. Spray the bottom of a 9x13 baking dish with nonstick cooking spray. 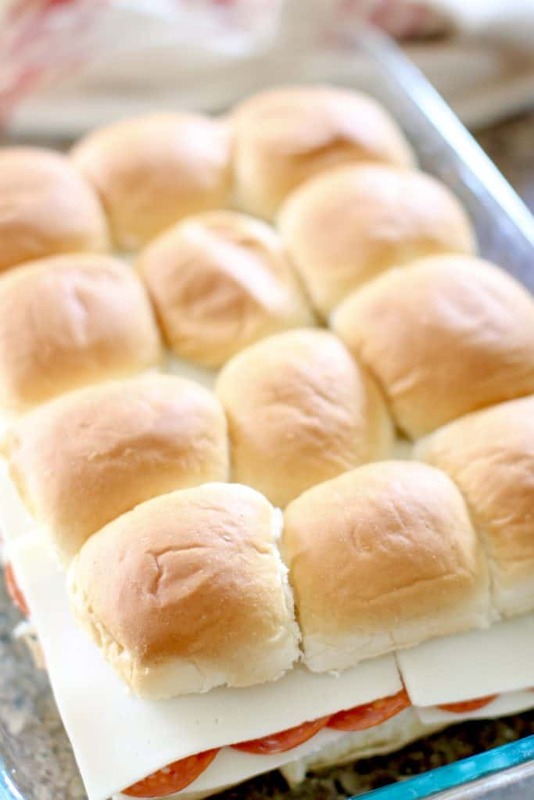 Slice the rolls horizontally (while still attached) to make a top and bottom bun. 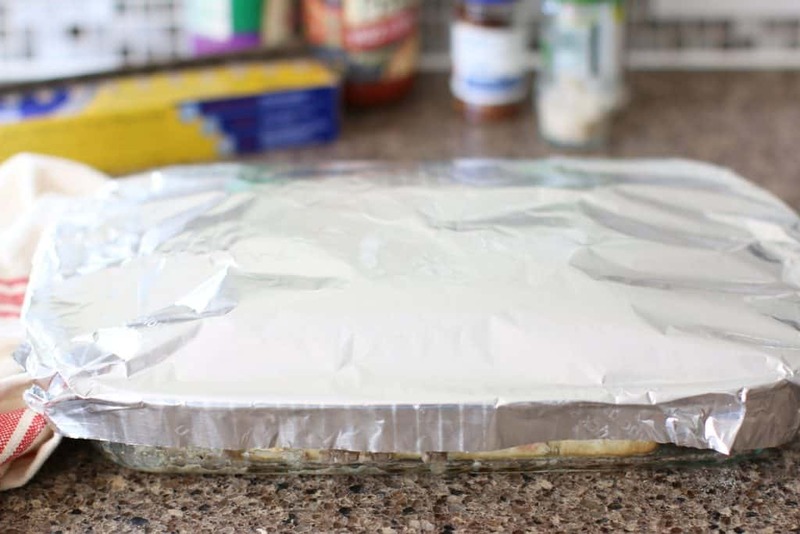 Cover with aluminum foil and bake for about 15 minutes. 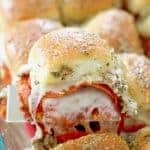 0 Response to "Pizza Pull Apart Sliders"